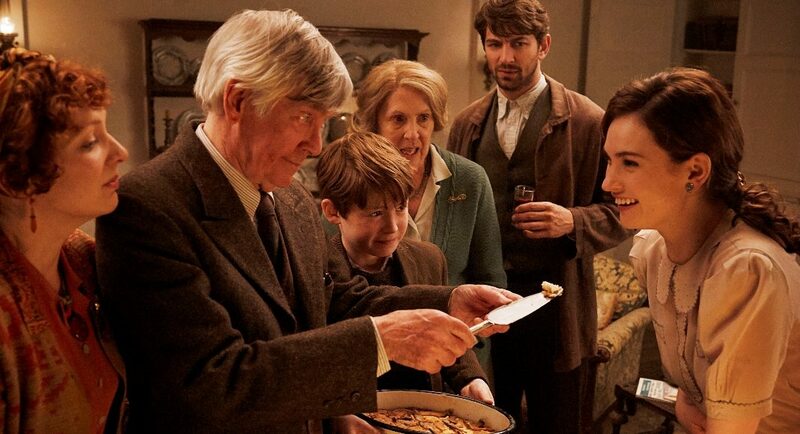 The Guernsey Literary And Potato Peel Pie Society Review - Are You Screening? Mike Newell is a director I bring up far more than one might imagine given how widely underappreciated he seems to be. Though he may always be best known for his films that – made a dent in the overall cultural awareness (Four Weddings and a Funeral), managed a certain cult following (Into the West), involve young wizards (Harry Potter and the Goblet of Fire), or capitalize on their cast (Donnie Brasco), much of his best work remains virtually unseen. Whether it’s The Good Father (Anthony Hopkins, Jim Broadbent), Enchanted April, (Alfred Molina, Joan Plowright, Miranda Richardson), or An Awfully Big Adventure (Hugh Grant, Alan Rickman), to name only a few, much of his best work is all but unknown outside the circles of the most devout cinephiles. Even some of the more recognizable efforts that are perhaps avoided with good reason – Pushing Tin, Mona Lisa Smile, Prince of Persia: The Sands of Time – are difficult to fault in terms of their direction, and are further evidence of one of Newell’s most intriguing features, namely that the man simply doesn’t have a genre. He is one of the exceedingly rare directors who bring about the curious state in which having more of his movies fresh in your mind actually makes it more difficult to get a feel for what to expect. To say that a certain movie “feels like” a movie by a certain director is common enough, but with Newell, and his body of work, it’s a different trick to work out what that means. 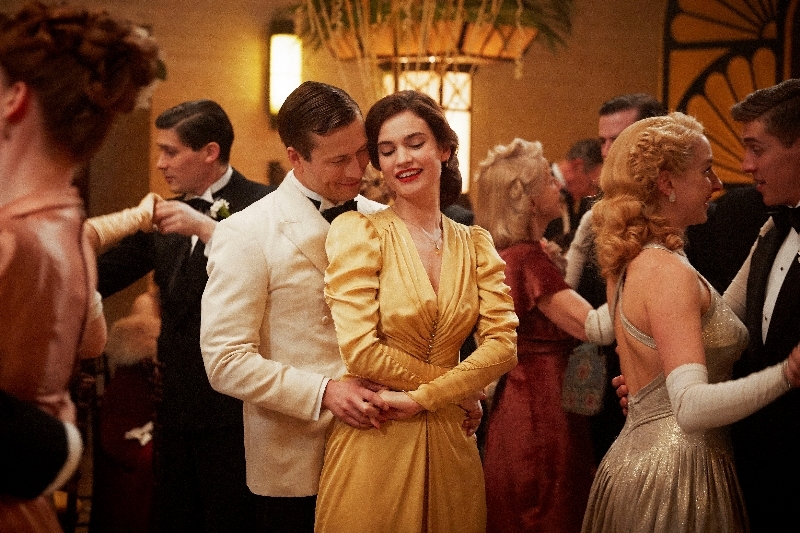 The Guernsey Literary and Potato Peel Pie Society is a film that drips Newell-ness in every moment, and much like Altman, the proof is in the way he stages people, and his conversations. The film is based on the novel by Mary Ann Shaffer and Annie Barrows, and follows the curious adventures of Juliet Ashton (Lily James – Downton Abbey) as she meets, befriends, and ultimately ferrets out the secrets of the titular collection of Guernsey residents who formed a “book club” during the German occupation of WWII. A chance encounter by mail introduces Juliet to Dawsey Adams (Michiel Huisman) and after corresponding for some time, Juliet becomes enamored with the bits and pieces she learns about the multi-generational collection of farmers, and the history of their society. A writer of some renown, Juliet decides that she may have found her next book. Once on the island, Juliet quickly falls for the group, but learns that they have something of a secret. As Juliet tries to get more details about the group, and how they spent their time during the war, she learns that one of their members, Elizabeth McKenna (Jessica Brown Findlay – Downton Abbey), was arrested during the occupation and hasn’t returned. As Juliet works to gather the information she would like to put into a book, which she feels will be fascinating, she finds herself hopelessly drawn to the people, and life, that she is discovering, and feels increasingly disconnected from her life in London, and her fiancee. The film play out like chapters in a book, divided and constructed in a way that is daring, dangerous, and reminiscent of several of Newell’s other features. Juliet and Dawsey’s conversations, especially as they become increasingly awkward around each other, feel as though you’re reading them. It’s an unfamiliar stylistic attempt that has its groundwork laid by their initial conversations via post. Dawsey’s farm, the local pub, even the pier that ultimately finds Juliet shuffling through a crowd, don’t give the impression of settings created to accurately represent such things, but instead what one might conjure while reading flowery descriptions. The film is, at its heart, a love story of four kinds, and finds Juliet falling for a person, a kind of person, a place, and a “way of being.” There is much that happens in The Guernsey Literary Potato Peel Pie Society, but what it is about is that draw. Those draws. The pull and previously unimagined ability to connect to something in a way that has Juliet wonder if you can belong, and always have belonged, to people you haven’t yet met. Delivering that draw and that awakening of spirit is a directing masterclass. ABC has a shot with Sutherland leading the cast, and as long as it doesn't try to keep running past characters, it should work itself into a hit.